Winter. It has been cold and snowy without a break, until today. Today the sun is out, ice is melting, and the light is brighter. January I worked in the studio, and started a new rug hooking. February I am feeling the need to connect again to the world but the weather hasn't been too cooperative. This already looks different, and is sure to go through lots of changes - but here is a glimpse. 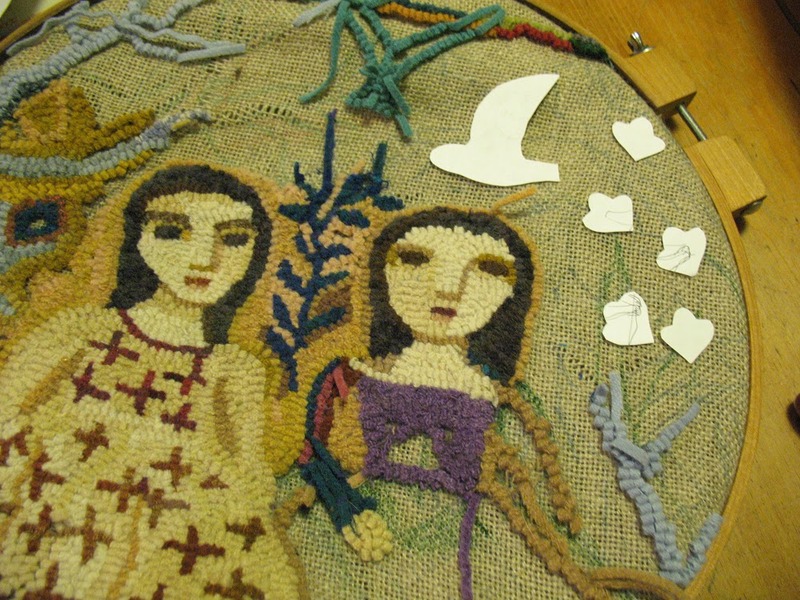 I am an artist who loves storytelling, poems, folk art and rug hooking. I look for the little moments that carry big meaning.